Asian countries are spending more on their human capital, according to World Bank Human Capital Index. The Human Capital Index measures the amount of human capital that a child born today can expect to attain by age of 18, given the risks to poor health and poor education that prevail in the country where the child lives. 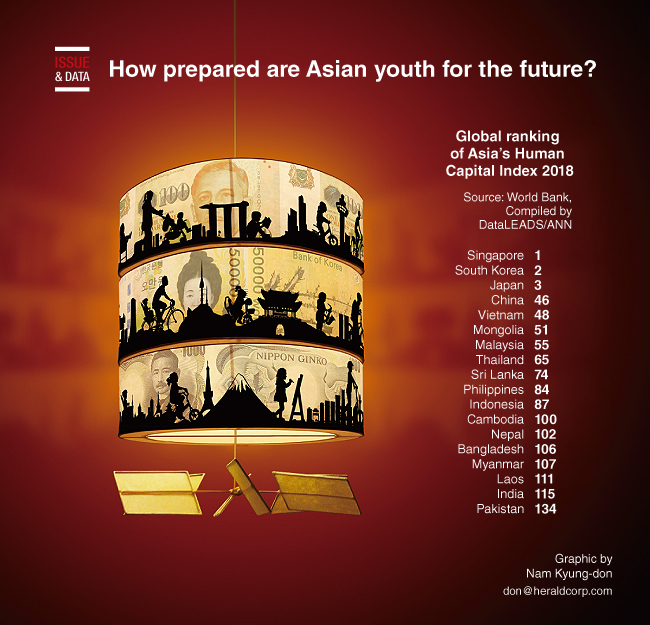 The HCI index values aim to convey the productivity of the next generation and highlights how ready Asian youth are to face a future of immense opportunities. Singapore takes the top spot in human capital rankings globally. It has one of the most robust health care systems, good education and high life expectancy figures. The top three countries that dominate the global index are Asian countries. South Korea and Japan follow closely at second and third position respectively, both in global rankings and in Asia. Both the countries have improved their position in terms of health and education to be at the lead. Life expectancy at birth and years of schooling have increased gradually.